Will Sharpe is about to undergo his initiation. He has no idea what it will entail; only that it will involve both pleasure and pain. What pleasures shall Will experience at the hands and members of the crew? Will they be soft or rough? How many men will he have to take before it is over? 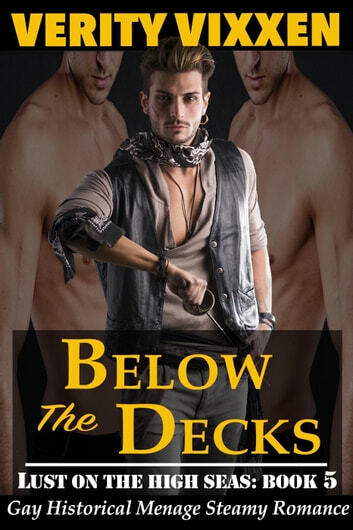 Features back door, oral, menage, voyeurism, blindfolds and bindings, double entry, three-at-once and lots of other steamy goodness!